Minister Counselor Weilin Kuang was born and received his education in Shanghai. After graduating from the English Department of Shanghai Foreign Languages Institute in 1982, Weilin spent one more year resuming his studies in the Institute of Foreign Affairs in Beijing. One year later, he joined China's foreign service. From 1986 to 1990, Weilin was posted as third secretary at the political section of the Chinese Embassy to the United Kingdom. Afterwards, he took up a post as deputy director at the Information Department of the Chinese Foreign Ministry. From 1994 to 1996, Weilin worked as first secretary at China's Permanent Mission to the United Nations. Upon returning to China, he was promoted to director at the Information Department of the Foreign Ministry. >From 1999 to 2000, Weilin was at Kennedy School of Government, Harvard, as a mid-career student, where he earned his MPA degree. 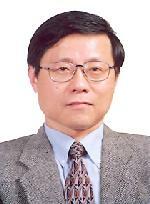 In the following year, Weilin was appointed senior counselor of the Policy Planning Department of the Foreign Ministry. He authored or co-authored many policy papers and important speeches. In January, 2005, Weilin came to the U.S. again to take up a new assignment as the Deputy Consul General of the Chinese Consulate General in New York. In early November, 2008, Weilin moved to Washington D.C. to work as minister-counselor and the head of the political section at the Chinese Embassy.